Aston Villa?s chances of signing England international striker Tammy Abraham have reportedly been dampened, according to Birmingham Live. The Championship club, who defeated Hull City 3-1 in their opening fixture of the new 2018-19 campaign, have been linked with bringing in the highly rated Chelsea forward on a season-long loan deal. The 20-year-old, who has two senior international caps for the Three Lions, made only his third outing for The Blues during their 2-0 defeat to defending Premier League champions Manchester City in the FA Community Shield earlier this month. 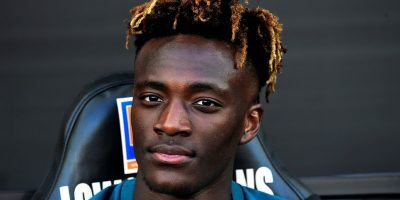 Abraham, who joined Chelsea at Under-8 level, featured against Liverpool and Leicester City in the Premier League back in May 2016, though he could be loaned out for a third successive spell away from Stamford Bridge before the end of the month. The summer transfer window closed on Thursday night, though Premier League clubs are still allowed to loan out players to lower league sides until August 31. Abraham spent the 2016-17 season on loan at Bristol City, scoring an impressive 26 goals in 48 games for the Championship club, before netting eight times in 39 outings for Swansea City last term. Villans boss Steve Bruce is hopeful of signing Abraham on loan from Chelsea, as he seeks to strengthen his attacking options. However, England striker Abraham could be set to stay at Stamford Bridge this year following Chelsea?s decision to loan out fellow forward Michy Batshuayi to Valencia for the 2018-19 campaign. That leaves new Blues boss Maurizio Sarri with just three senior strikers this term ? Alvaro Morata, Olivier Giroud and Abraham.